By focusing on the interplay between brain, behaviour and environment, Professor Frini Karayanidis' cognitive neuroscience research is helping to craft a clearer picture of how we efficiently and adaptively apply cognitive control processes across the lifespan. The human mind is an astonishing device; ever-changing and ever-adapting to its environment. Professor Frini Karayanidis has dedicated more than 15 years to studying the mechanisms by which the brain understands and enables change. "The brain is an evolving, highly interactive system that both affects how we interact with our environment and is affected by this environment," she explains. My research program examines how the brain anticipates the upcoming need for change and how it enables programs to adapt to this change. "Contrary to common belief, our brain continues to develop throughout our lifespan. This development is implemented differently in the minds of the young and old, ill and healthy." Frini's research is conducted in the Functional Neuroimaging Laboratory (FNL) in the School of Psychology, a joint facility with multiple labs at Callaghan, Ourimbah and the HMRI Imaging Centre. As director, Frini is keen to sing its praise. "We have extensive state-of-the-art facilities to assess the structural and functional properties of the brain and evaluate behaviour in healthy and clinical populations." 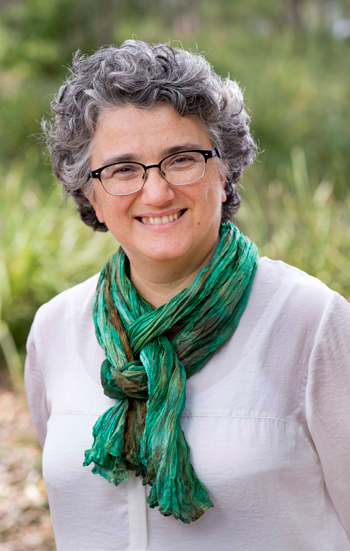 Frini is engaged as both lead investigator and collaborating researcher in three major projects at the University of Newcastle. The 'Age-ility Project' is an ARC-funded project that examines how individual variability in the neural systems that enable executive functions or cognitive control across the lifespan, impact on adaptive functioning at different stages of life. Executive functions refer to those processes that orchestrate complex behaviour into well-established and flexible routines. "Often we conceptualise simple everyday behaviours, such as cooking a meal or driving to work as a simple, unitary routine," Frini says. "In fact, they both involve a complex interplay between multiple sensory and motor processes that are orchestrated into a single, seamless process by the frontal lobes of the brain." Frini notes that the complexity of these behaviour routines becomes evident in people who have executive function deficits because of damage to their frontal lobes. When the orchestrating role of the frontal lobes of the brain is disrupted, what used to be a simple, seamless process can become a number of poorly coordinated sub-processes. "For instance in severe cases, the patient is so heavily distracted by irrelevant contextual cues that they may be unable to complete the sequence of simple steps involved in making a cup of tea," Frini reveals. "As our 'frontal' brain is also involved in regulating our emotional responses, these patients often become frustrated when realising their disability, which further compounds their problem." A primary aim of the 'Age-ility Project' is to examine how individual variability in the development of brain networks and executive functions can account for differences in propensity towards high-risk behaviours in young people. "We are examining whether differences in the rate of development and efficiency of frontal brain centres that enable cognitive control, make some young people more vulnerable to engagement in high- risk behaviours without consideration of the consequences," Frini describes. "Risk-taking forms an integral and adaptive part of the transition from childhood to adulthood." As a 'perfectively natural' part of the developmental spectrum, Frini asserts such behaviours demonstrate age-appropriate development of executive functioning. "Most young people will go through a period of engaging in risk-taking to a level where it enables them to extend themselves and develop new behavioural repertoires." In fact, failure to safely flirt with and carefully assess and manage risks can lead to maladaptive behaviours later in life. Some risk behaviours can have adverse lifelong consequences for the young person and the people around them, and impose a significant burden on legal and health services. "Our project aims to characterise those neural processes that tip the system over the edge, leading to unconsidered engagement in risk behaviours against the person's better judgement," the Deputy Head of the School of Psychology for Research and Research Training observes. "This understanding is critical as it will inform future work into how to identify young people most at risk and intervene early to help prevent extreme behaviours." "An obvious example is the alcohol culture among young people." "Those young people who display age-appropriate development of executive functioning are able to manage the risks and engage with the culture consciously, knowing how and when they engage." The first phase of this longitudinal study has so far collected data from more than 250 young people aged 15-35 years. It is one of few data sets internationally that combines detailed brain imaging, electrophysiological, experimental and neuropsychological data with detailed self-report and informant assessments (e.g., parents, partners and friends) of the young person's personality, quality of life and adaptive functioning in their environment. Committed to being an open-data project, the first phase of the 'Age-ility Project' was published in the prestigious journal NeuroImage and the imaging data were placed on the open access NIH-funded Neuroimaging Informatics Tools and Resources Clearinghouse (NITRC) repository. Since January 2015, the dataset has been downloaded over 350 times by researchers internationally. "These data have already led to new opportunities for national and international collaborations," Frini exclaims. "In addition, open access means that these data can be downloaded by research students and early career researchers internationally who don't have funding to collect their own imaging data and can be used to develop new ideas and projects that will progress their career." "We have started collecting phase two data, but are seeking funding to support the longitudinal part of the project which aims to retest people at 2-yearly intervals." "By tracking the developmental trajectories of brain, mind and behaviour over the transition from adolescence to adulthood, we will have a unique insight into the antecedents of adaptive and maladaptive developmental pathways and this will inform approaches to prevention and intervention." "Our participants are very committed to the project; we have an amazing retention rate of over 90%, exceeding our expectations. We owe it to them to find the funding to continue." Frini is collaboratively involved in a number of other brain and mind research initiatives providing expertise on trajectories of change and executive functioning. A lead investigator at the Centre for Research Excellence in Stroke Rehabilitation and Recovery, Frini is extending in her work on healthy ageing into the area of cognitive recovery from stroke. She contributes imaging, EEG and neuropsychological expertise to projects overseen by the Centre. "Stroke can affect the efficiency of executive functions, and unless addressed as part of the rehabilitation process, these cognition issues can affect motor recovery and restoration of premorbid level of functioning," Frini observes. "The same applies to healthy ageing – often emerging changes in executive functioning are at the root of many difficulties with living an independent and productive life." "If we can identify the mechanisms that bring about these changes and intervene early, older adults will be able to maintain greater quality of life for longer." 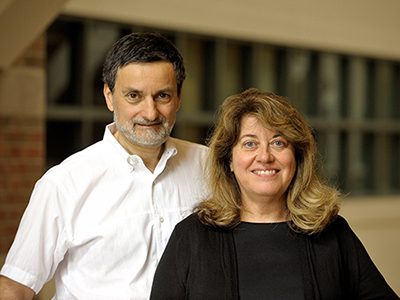 At the other extreme of the age range, together with other researchers from the Neurodevelopmental Research Centre, Frini is examining maternal and health factors that contribute to healthy development of executive functions in babies as young as 6 weeks of age. This work forms part of a new collaboration with researchers investigating severe asthma. 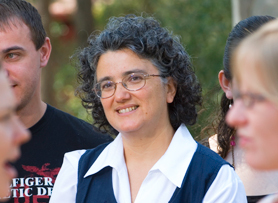 As deputy Director of the UON Priority Research Centre and the HMRI Program for Brain and Mental Health, Frini is heavily focussed on bringing together researchers from the School of Psychology with clinical and applied researchers, in order to study the role of the brain/mind nexus on clinical outcomes and community wellbeing. "Our research is very much supported by HMRI and the University." Successful adaptation in our complex and unpredictable world depends on our ability to adapt to change by flexibly adjusting our behaviour. Cognitive flexibility, self-control and the brain networks that support them vary across the life course, peaking in late 20s and declining in old age. They also vary across different people within the same life stage. These mechanisms are critical for the development of adaptive behaviours specific to different stages of life. For instance, self-control in childhood is predictive of physical and mental health in middle age, and poor lifestyle choices in middle age are predictive of risk of cognitive decline in old age. My research group targets variability in cognitive flexibility and self-control across the life course. We examine how these processes are linked to variability in brain network maturation, and how this relationship influences adaptive behaviours in the real world. We seek to identify age-specific factors that mediate successful adaptation and strategies to promote positive outcomes at different stages of life. Our aim is to identify age-appropriate neurocognitive markers of risk for poor outcomes (e.g., susceptibility to high-risk behaviours, emergence of early brain/cognitive decline associated with cardiovascular risk factors) and develop personalised, targeted intervention programs to improve cognitive flexibility and promote positive outcomes across the life course. I head a vibrant research program (www.age-ility.org.au) that includes collaboration with senior researchers and clinicians at the University of Newcastle well as other national and international institutions. This work is supported by and contributes to the training of many high-calibre PhD and Honours students. 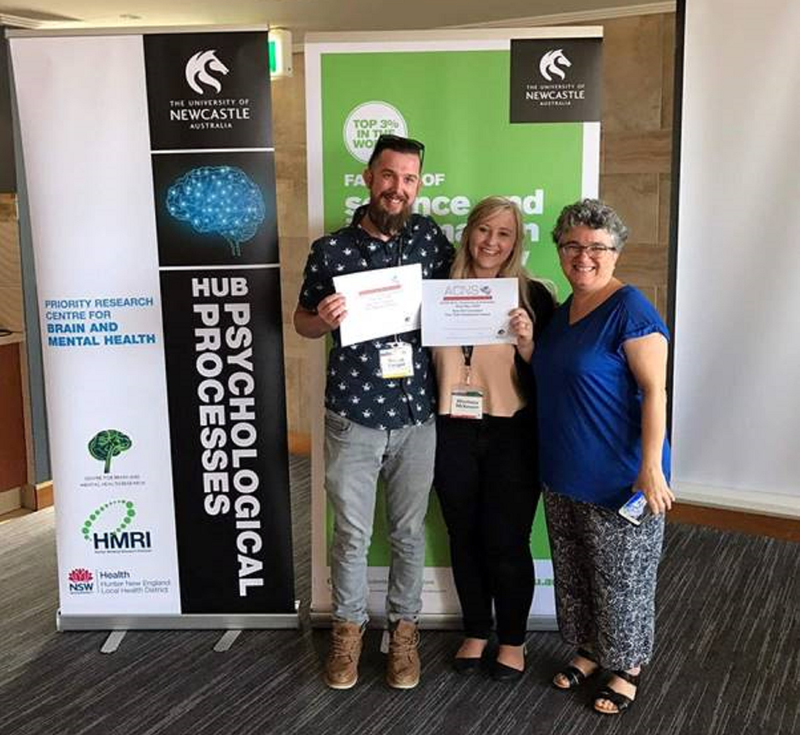 The work is conducted within the Functional Neuroimaging Laboratory in the School of Psychology and the Imaging Centre at Hunter Medical Research Institute. As director of the Functional Neuroimaging Laboratory and the Sensory, Cognitive and Affective Neuroscience (SCAN) research group in the School of Psychology, as well as the convenor of Psychological Processes hub of the UON Priority Research Centre in Stroke and Brain Injury, I mentor and promote cross-faculty cognitive neuroscience research collaborations. My research program investigates the higher-order cognitive control processes that underlie decision-making and behavioural choices in everyday life. I work to define how these complex cognitive control processes are organised at neural and behavioural levels, and how they interact with other levels of functioning (e.g., emotional control, social integration, adaptive behaviours) across the developmental lifespan in healthy and clinical populations. My work is housed both within basic and applied science in FOR1700, with implications for the National Science & Research Priority area of Health (i.e., improved prediction, identification, tracking, prevention and management of emerging local and regional health threats) – in particular, risk-taking behaviours in young adults, cognitive decline in older adults, recovery from neurological trauma and prevention of neurodegenerative decline. My research is highly interdisciplinary, bringing together behavioural and mathematical modelling measures, a broad range of functional and structural imaging methods and functional/clinical outcome measures. This approach aims to derive robust multi-modal measures with strong explanatory and predictive power for use in applied settings. Since last promotion, I have extended my network of national and international research collaborations to support targeted research methodologies suitable to address theory-driven research questions at different stages of the lifespan. My research toolkit currently includes behavioural and neuropsychological measures, measures of neural activity (e.g., electroencephalography (EEG), event-related brain potentials (ERP), functional magnetic response imaging (MRI), structural MRI, diffusion MRI and, more recently, near infrared imaging (fNIRS)), as well as mathematical modelling approaches suitable to modelling complex behaviour. 1. Adolescence Age-ility Project I lead a large ARC-funded longitudinal project that examines how individual variability in cognitive control mechanisms impact engagement in risk behaviours and other developmental outcomes in late adolescence and young adulthood. The Age-ility Project extends from my early normative research that developed experimental paradigms to derive new neural measures of cognitive control. In Phase 1, we established a cross-sectional cohort of young people with multi-modal measures covering brain structure and function, cognitive control, and a range of mental health and psychosocial outcome measures. Phases 2 and 3 extend this into a longitudinal cohort and will develop novel approaches that jointly model behavioural and neural measures of cognitive control to predict outcome behaviours. This is a valuable and unique resource – it is the only existing dataset with such an in-depth neural and behavioural assessment of cognitive control and outcome measures at a longitudinal level. It will allow us to develop integrative methods for early prediction of maladaptive pathways and inform future development of early interventions. 2. Mid-late Life Age-ility Project. Cognitive decline in normal ageing and neurodegenerative disorders. 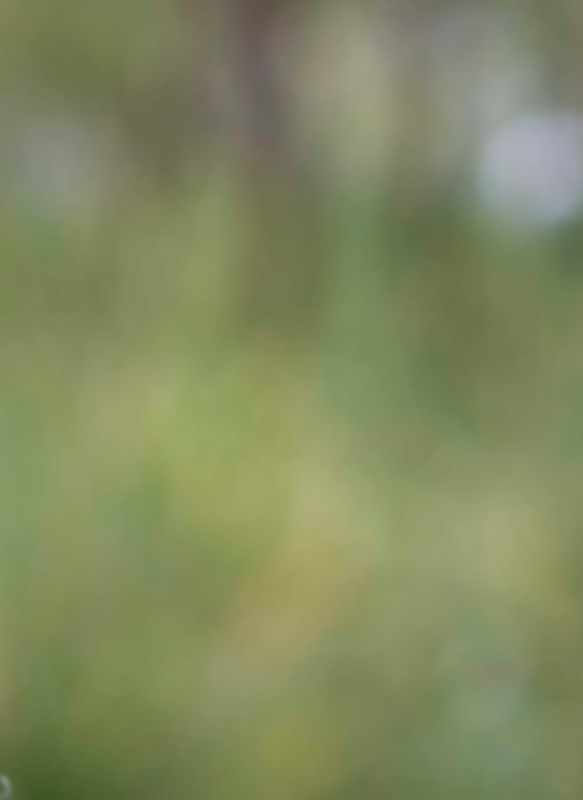 In light of the growing ageing population and the personal, social and economic burden of dementia, the 2014 World Alzheimer’s Disease Report acknowledged that, although prevention and treatment of dementia may be the ultimate goal, in the immediate term, we need to identify markers of early cognitive decline and develop interventions to delay the onset or slow the progress of cognitive decline in non-clinical older adults. I have developed a strong research collaboration with clinical researchers from the PRC-Stroke and Brain Injury (PRC-SBI), where I lead a research program that seeks to determine the factors that impact cognitive health in older adults. I study the impact of cardiovascular (CV) risk factors on cognition in otherwise healthy older adults, as well as the impact of cognitive functioning on recovery pathways after transient ischemic attack (TIA) and stroke. A major aim is to identify early markers of cognitive decline that can inform interventions to reduce or delay its progression, and evaluate treatment effectiveness. 3. Early Life Age-ility Project. Emergence of cognitive control during the 1st year of life: Impact on developmental milestones and neurodevelopmental markers. I was instrumental in smoothing the path for this new collaboration between clinical and basic researchers that addresses both translational and discovery research objectives. 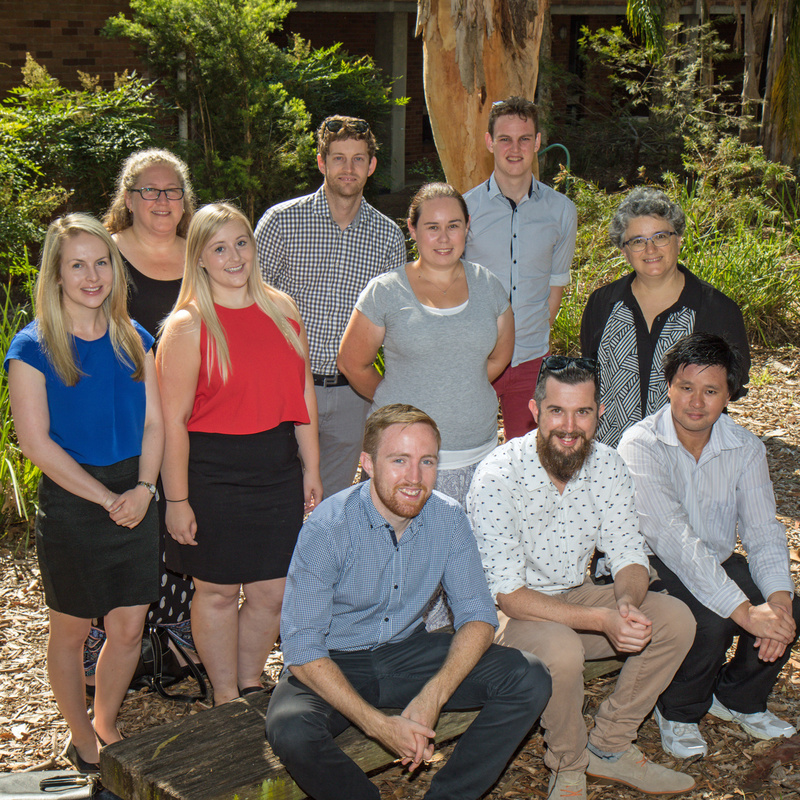 Prof Mattes sought our expertise in infant cognitive development as a secondary outcome in their multi-centre NHMRC-funded Breathing for Life (BLT) clinical trial that examines the effect of maternal asthma during pregnancy on infant lung development. In response, Dr Campbell, A/Prof Lane and I developed a sister research protocol: BLT-Infant Development (BLT-ID). In addition to providing developmental assessments for the BLT team, we established a parallel research protocol to assess the trajectories of infant sensory, cognitive, social and motor development and maternal mental health over the 1st year of life and their impact on risk for neurodevelopmental disorders. Organisation: University of Amsterdam Description: I was invited by the Head of the Department of Psychology of the University of Amsterdam to review the application of a highly respected researcher in the area of cognitive control for a Chair in Psychology. Organisation: Montreal Neurological Institute, McGill University, Description: I was invited to deliver this lecture by a highly prominent neuroscientist in the area of cognitive neuroscience at MNI. Organisation: National Chung Cheng University Description: I was invited to present a plenary address at this conference that included only invited speakers offering plenary addresses. The speakers were all high calibre scientists in the area. 2006 Investigating motor preparation and the importance of external information in people with Parkinson's disease. © 2018 Elsevier B.V. The ability to control behaviour is thought to rely at least partly on adequately suppressing impulsive responses to external stimuli. However, the evidence for a relationship between response inhibition ability and impulse control is weak and inconsistent. This study investigates the relationship between response inhibition and both self-report and behavioural measures of impulsivity as well as engagement in risky behaviours in a large community sample (N = 174) of healthy adolescents and young adults (15¿35 years). Using a stop-signal paradigm with a number parity go task, we implemented a novel hierarchical Bayesian model of response inhibition that estimates stop-signal reaction time (SSRT) as a distribution and also accounts for failures to react to the stop-signal (i.e., ¿trigger failure¿), and failure to react to the choice stimulus (i.e., ¿go failure¿ or omission errors). In line with previous studies, the model reduced estimates of SSRT by approximately 100 ms compared with traditional non-parametric SSRT estimation techniques. We found significant relationships between behavioural and self-report measures of impulsivity and traditionally estimated SSRT, that did not hold for the model-based SSRT estimates. Instead, behavioural impulsivity measures were correlated with rate of trigger failure. The relationship between trigger failure and impulsivity suggests that the former may index a higher order inhibition process, whereas SSRT may index a more automatic inhibition process. We suggest that the existence of distinct response inhibition processes that may be associated with different levels of cognitive control. © 2017 Wolters Kluwer Health, Inc. All rights reserved. Transcranial direct current stimulation (tDCS) has been proposed as a tool to enhance stroke rehabilitation; however, evidence to support its use is lacking. The aim of this study was to investigate the effects of anodal and cathodal tDCS on upper limb function in chronic stroke patients. Twenty five participants were allocated to receive 20 min of 1 mA of anodal, cathodal or sham cortical stimulation in a random, counterbalanced order. Patients and assessors were blinded to the intervention at each time point. The primary outcome was upper limb performance as measured by the Jebsen Taylor Test of Hand Function (total score, fine motor subtest score and gross motor subtest score) as well as grip strength. Each outcome was assessed at baseline and at the conclusion of each intervention in both upper limbs. Neither anodal nor cathodal stimulation resulted in statistically significantly improved upper limb performance on any of the measured tasks compared with sham stimulation (P>0.05). When the data were analysed according to disability, participants with moderate/severe disability showed significantly improved gross motor function following cathodal stimulation compared with sham (P=0.014). However, this was accompanied by decreased key grip strength in the unaffected hand (P=0.003). We are unable to endorse the use of anodal and cathodal tDCS in the management of upper limb dysfunction in chronic stroke patients. Although there appears to be more potential for the use of cathodal stimulation in patients with severe disability, the effects were small and must be considered with caution as they were accompanied by unanticipated effects in the unaffected upper limb. © 2017 Low frequency oscillations in the theta range (4¿8 Hz) are increasingly recognized as having a crucial role in flexible cognition. Such evidence is typically derived from studies in the context of reactive (stimulus-driven) control processes. However, little research has explored the role of theta oscillations in preparatory control processes. In the current study, we explored the extent of theta oscillations during proactive cognitive control and determined if these oscillations were associated with behavior. Results supported a general role of theta oscillations during proactive cognitive control, with increased power and phase coherence during the preparatory cue interval. Further, theta oscillations across frontoparietal electrodes were also modulated by proactive control demands, with increased theta phase synchrony and power for cues signaling the need for goal updating. Finally, we present novel evidence of negative associations between behavioral variability and both power and phase synchrony across many of these frontoparietal electrodes that were associated with the need for goal updating. In particular, greater consistency in frontoparietal theta oscillations, indicated by increased theta phase and power during mixed-task blocks, resulted in more consistent task-switching performance. Together, these findings provide new insight into the temporal dynamics and functional relevance of theta oscillations during proactive cognitive control. © 2017 Elsevier Inc. The relationship between metacognitive monitoring of working memory performance and academic achievement was examined in 73 Grade 4 children. Working memory was assessed using the Working Memory Power Test (WMPT) for children. Metacognitive monitoring was assessed by confidence ratings and two calibration measures, the Bias Index and the Absolute Accuracy Index, calculated from WMPT scores. Children also completed the Wechsler Individual Achievement Test - Australian Abbreviated (WIAT-II). Regression analyses showed the Bias Index was the best metacognitive monitoring calibration measure for predicting academic achievement. These findings extend previous research in two important ways. Firstly, we have shown that Grade 4 children have metacognitive monitoring abilities. Secondly, we have demonstrated that children are able to metacognitively monitor their working memory performance and that the calibration of this monitoring is related to their academic achievement. © 2016 Wiley Periodicals, Inc. Task-switching performance relies on a broadly distributed frontoparietal network and declines in older adults. In this study, they investigated whether this age-related decline in task switching performance was mediated by variability in global or regional white matter microstructural health. Seventy cognitively intact adults (43¿87 years) completed a cued-trials task switching paradigm. Microstructural white matter measures were derived using diffusion tensor imaging (DTI) analyses on the diffusion-weighted imaging (DWI) sequence. Task switching performance decreased with increasing age and radial diffusivity (RaD), a measure of white matter microstructure that is sensitive to myelin structure. RaD mediated the relationship between age and task switching performance. However, the relationship between RaD and task switching performance remained significant when controlling for age and was stronger in the presence of cardiovascular risk factors. Variability in error and RT mixing cost were associated with RaD in global white matter and in frontoparietal white matter tracts, respectively. These findings suggest that age-related increase in mixing cost may result from both global and tract-specific disruption of cerebral white matter linked to the increased incidence of cardiovascular risks in older adults. Hum Brain Mapp 38:1588¿1603, 2017. © 2016 Wiley Periodicals, Inc.
© 2016 Society for Psychophysiological Research. Although the relationship between aging and cognitive decline is well established, there is substantial individual variability in the degree of cognitive decline in older adults. The present study investigates whether variability in cognitive performance in community-dwelling older adults is related to the presence of whole brain or tract-specific changes in white matter microstructure. Specifically, we examine whether age-related decline in performance on the Montreal Cognitive Assessment (MoCA), a cognitive screening tool, is mediated by the white matter microstructural decline. We also examine if this relationship is driven by the presence of cardiovascular risk factors or variability in cerebral arterial pulsatility, an index of cardiovascular risk. Sixty-nine participants (aged 43-87) completed behavioral and MRI testing including T1 structural, T2-weighted FLAIR, and diffusion-weighted imaging (DWI) sequences. Measures of white matter microstructure were calculated using diffusion tensor imaging analyses on the DWI sequence. Multiple linear regression revealed that MoCA scores were predicted by radial diffusivity (RaD) of white matter beyond age or other cerebral measures. While increasing age and arterial pulsatility were associated with increasing RaD, these factors did not mediate the relationship between total white matter RaD and MoCA. Further, the relationship between MoCA and RaD was specific to participants who reported at least one cardiovascular risk factor. These findings highlight the importance of cardiovascular risk factors in the presentation of cognitive decline in old age. Further work is needed to establish whether medical or lifestyle management of these risk factors can prevent or reverse cognitive decline in old age. © 2016 Elsevier Inc. Flexible control of cognition bestows a remarkable adaptability to a broad range of contexts. While cognitive control is known to rely on frontoparietal neural architecture to achieve this flexibility, the neural mechanisms that allow such adaptability to context are poorly understood. In the current study, we quantified contextual demands on the cognitive control system via a priori estimation of information across three tasks varying in difficulty (oddball, go/nogo, and switch tasks) and compared neural responses across these different contexts. We report evidence of the involvement of multiple frequency bands during preparation and implementation of cognitive control. Specifically, a common frontoparietal delta and a central alpha process corresponded to rule implementation and motor response respectively. Interestingly, we found evidence of a frontal theta signature that was sensitive to increasing amounts of information and a posterior parietal alpha process only seen during anticipatory rule updating. Importantly, these neural signatures of context processing match proposed frontal hierarchies of control and together provide novel evidence of a complex interplay of multiple frequency bands underpinning flexible, contextually sensitive cognition. © 2015 Published by Elsevier Inc. Our understanding of the complex interplay between structural and functional organisation of brain networks is being advanced by the development of novel multi-modal analyses approaches. The Age-ility Project (Phase 1) data repository offers open access to structural MRI, diffusion MRI, and resting-state fMRI scans, as well as resting-state EEG recorded from the same community participants (n = 131, 15-35 y, 66 male). Raw imaging and electrophysiological data as well as essential demographics are made available via the NITRC website. All data have been reviewed for artifacts using a rigorous quality control protocol and detailed case notes are provided. © 2016 Conley, Fulham, Marquez, Parsons and Karayanidis. Anodal transcranial direct current stimulation (tDCS) over the motor cortex is considered a potential treatment for motor rehabilitation following stroke and other neurological pathologies. However, both the context under which this stimulation is effective and the underlying mechanisms remain to be determined. In this study, we examined the mechanisms by which anodal tDCS may affect motor performance by recording event-related potentials (ERPs) during a cued go/nogo task after anodal tDCS over dominant primary motor cortex (M1) in young adults (Experiment 1) and both dominant and non-dominant M1 in older adults (Experiment 2). In both experiments, anodal tDCS had no effect on either response time (RT) or response-related ERPs, including the cue-locked contingent negative variation (CNV) and both target-locked and response-locked lateralized readiness potentials (LRP). Bayesian model selection analyses showed that, for all measures, the null effects model was stronger than a model including anodal tDCS vs. sham. We conclude that anodal tDCS has no effect on RT or response-related ERPs during a cued go/nogo task in either young or older adults. © 2015 Elsevier Inc. Cognitive control involves both proactive and reactive processes. Paradigms that rely on reactive control have shown that frontoparietal oscillatory synchronization in the theta frequency band is associated with interference control. This study examines whether proactive control is also associated with connectivity in the same frontoparietal theta network or involves a distinct neural signature. A task-switching paradigm was used to differentiate between proactive and reactive control processes, involved in preparing to switch or repeat a task and resolving post-target interference, respectively. We confirm that reactive control is associated with frontoparietal theta connectivity. Importantly, we show that proactive control is also associated with theta band oscillatory synchronization but in a different frontoparietal network. These findings support the existence of distinct proactive and reactive cognitive control processes that activate different theta frontoparietal oscillatory networks. © 2015 - IOS Press and the authors. All rights reserved. Purpose: Research popularity and scope for the application of transcranial direct current stimulation have been steadily increasing yet many fundamental questions remain unanswered. We sought to determine if anodal stimulation of either hemisphere leads to improved performance of the contralateral hand and/or altered function of the ipsilateral hand, or affects movement preparation, in older subjects. Method: In this cross-over, double blind, sham controlled study, 34 healthy aged participants (age range 40-86) were randomised to receive 20 minutes of stimulation to either the dominant or non-dominant motor cortex. The primary outcome was functional performance of both upper limbs measured by the Jebsen Taylor Test and hand grip strength. Additionally, we measured motor preparation using electrophysiological (EEG) recordings. Results: Anodal stimulation resulted in statistically significantly improved performance of the non-dominant hand (p < 0.01) but did not produce significant changes in the dominant hand on any measure (p > 0.05). This effect occurred irrespective of the hemisphere stimulated. Stimulation did not produce significant effects on measures of gross function, grip strength, reaction times, or electrophysiological measures on the EEG data. Conclusion: This study demonstrated that the hemispheres respond differently to anodal stimulation and the response appears to be task specific but not mediated by age. © 2015 Conley et al. Anodal transcranial direct current stimulation (tDCS) over the primary motor cortex (M1) has been proposed as a possible therapeutic rehabilitation technique for motor impairment. However, despite extensive investigation into the effects of anodal tDCS on motor output, there is little information on how anodal tDCS affects response processes. In this study, we used a cued go/nogo task with both directional and non-directional cues to assess the effects of anodal tDCS over the dominant (left) primary motor cortex on prepared and unprepared motor responses. Three experiments explored whether the effectiveness of tDCS varied with timing between stimulation and test. Healthy, right-handed young adults participated in a double-blind randomised controlled design with crossover of anodal tDCS and sham stimulation. In Experiment 1, twenty-four healthy young adults received anodal tDCS over dominant M1 at least 40 mins before task performance. In Experiment 2, eight participants received anodal tDCS directly before task performance. In Experiment 3, twenty participants received anodal tDCS during task performance. In all three experiments, participants responded faster to directional compared to non-directional cues and with their right hand. However, anodal tDCS had no effect on go/nogo task performance at any stimulation - test interval. Bayesian analysis confirmed that anodal stimulation had no effect on response speed. We conclude that anodal tDCS over M1 does not improve response speed of prepared or unprepared responses of young adults in a go/nogo task. Motivated cognitive control: Do reward incentives modulate preparatory and task implementation processes similarly in young and older adults? Whilst recovering in hospital, stroke survivors spend the majority of their waking hours inactive and alone. Environmental enrichment, a paradigm investigated extensively in animal models, is an intervention which by design facilitates motor, sensory, social and cognitive activity. It has been shown to improve post stroke motor and cognitive function in animal models of stroke. This is the first study to attempt to translate this intervention from the laboratory to the clinical setting. Researchers at UON have discovered that brain ageing is impacted by heart health. The issue was conceived and edited by UON’s Professor Frini Karayanidis with collaborators Professors Monica Fabiani and Gabriele Gratton from the Beckman Institute for Advanced Science and Technology at the University of Illinois.